Federal data shows that more than three-quarters of the Americans who signed up for insurance and received subsidies could see their policies annulled if the Supreme Court rules in favor of the challengers in an upcoming Obamacare case. 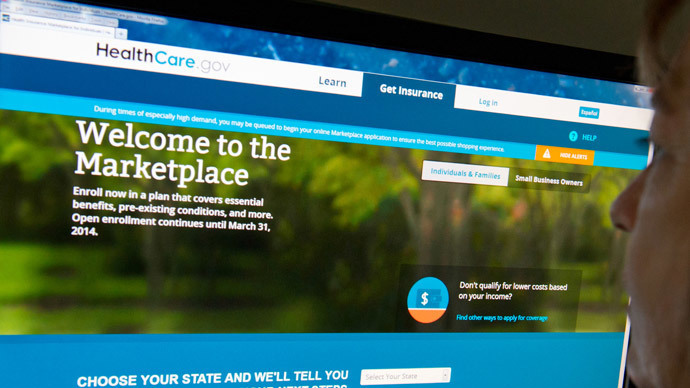 Released Tuesday, the data shows that approximately 6.4 million Americans could lose their subsidies if the court rules against the Obama administration, the Washington Post reported. The legal issue the court will decided on in King v. Burwell is whether Congress authorized subsidies regardless of whether or not states established their own health insurance exchanges. Since enrollment ended in February, 2015, about 10.2 million American have health insurance under the Affordable Care Act, commonly known as Obamacare. The plaintiffs in King v. Burwell argue that people who buy coverage on the federal exchange are not entitled to subsidies, while the Obama administration argues that Congress intended to help everyone, regardless of which exchange coverage was purchased through. According to the data, people in 16 states where the state administrators set up their own insurance exchanges wouldn’t be affected if the court decides in favor of the challengers, including the District of Columbia. However, people in 34 states who received income-scaled subsidies in order to be able to afford their health insurance will be affected. Many of those people live in Republican-controlled states who opposed Obamacare, such as Mississippi, Florida, Georgia, Louisiana, Wisconsin and Texas. The states with the highest proportion of consumers receiving subsidies are: Mississippi (94.5 percent), Florida (93.5), North Carolina (93.2), Wyoming (92.9) Louisiana (92), Arkansas (91.1), Georgia (91.1), Alabama (90.7), Wisconsin (90.7), Alaska (90.5) and South Carolina (90.2). Currently, $1.7 billion is spent each month on subsidizing healthcare insurance across the US. The average subsidy is $272 per month and is given to those whose household income falls from 100 percent to 250 percent of the federal poverty level, according to federal data supplied by the Centers for Medicare and Medicaid Services. The federal poverty level is approximately $24,000- $30,000 for a family of four, depending on the state where the family lives. Residents in Florida would be the most affected, in terms of people losing their subsidies (1.3 million), according to a Kaiser Family Foundation analysis of the new federal data that was flagged by the Washington Post. It would be followed by Texas, where 832,000 residents would be affected.